Do you have an old storage building that could use some cosmetic TLC? Helmuth Builders takes pride in the beauty we bring to our customers’ yards, and in an effort to continue that tradition, we are bringing back the popular Ugly Shed Contest. Last year’s contest received so much positive feedback that our team decided to bring it back for another year. The winner of the contest will receive a free shed makeover from our talented team of designers and builders! 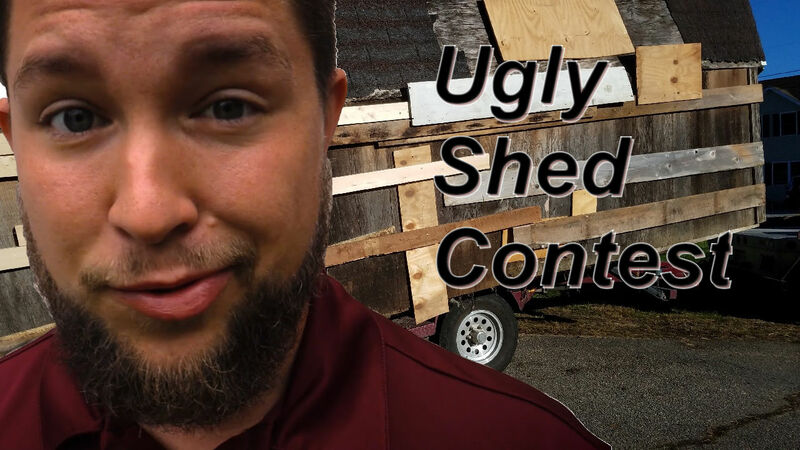 Step 1: Submit a photo of your “Ugly Shed”, along with its story and your contact information (name, email and phone number) to phil@helmuthbuilders.com. Step 2: Find and “Like” our Facebook page – click here. Step 3: Once you’re submission is posted to our page, you will be notified via email with a direct link to your submission. Step 4: “Share” your entry on Facebook – the more “Likes” you get, the better chance you’ll have to win! The submission with the most “Likes” at the end of the contest will win the shed makeover. Our winner will be announced at the conclusion of the contest via Facebook and will be contacted by a member of our team. Remember, the contest ends October 1st at 12:00a.m.! at a rate of $3/mile. This contest has an 100 mile radius limit from our Harrisonburg location. of the contest will then have the option to accept and pay or decline the proposal. **We realize that your shed may be so old and in need of repair, that it may be easier to just replace the WHOLE THING. If so, the Winner will also have the option to substitute the shed makeover, for 50% off of any brand new storage building. Time Frame: We will commit to completing the work before the end of December giving us a window of 3 months. If you have any questions regarding the contest, please contact Phil or Mike at (540) 833-2276.